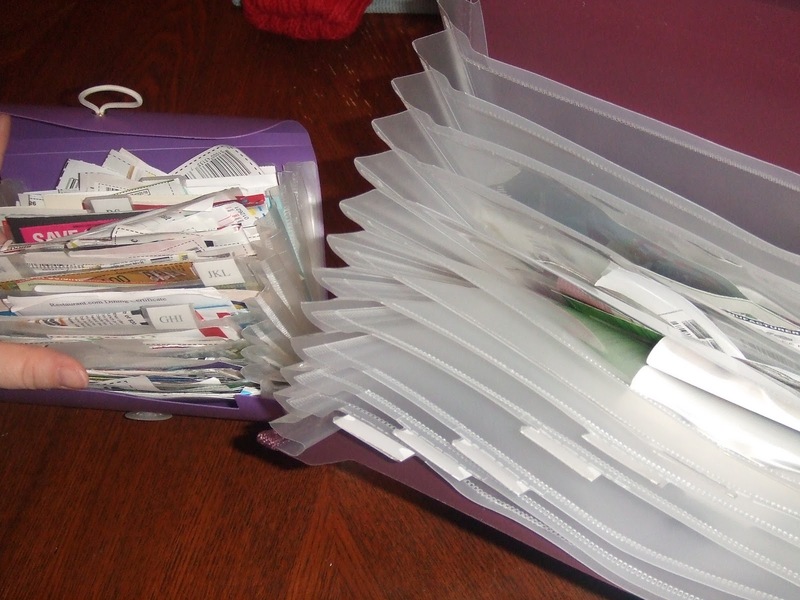 So I really liked that show Extreme Couponing on TLC. Lori and I talked on the phone during commercials - I was somewhat inspired, somewhat awed, and somewhat freaked out by the lengths these people go to save some dough. At any rate, we agreed that the show was addicting. Keep track of 10x this?! Even Lori's new coupon organizer is too small! If you didn't see the show, here's a little summary: these extreme couponers spend hours upon hours (one lady spends 70 hours per week on top of her day job) scrolling online sites and forums to see where the deals are. They scan through the grocery stores' weekly savings brochures with a fine-tooth comb. They go nutty (like dumpster diving - which Shaun and Steve have forbidden BTW) getting the Sunday coupons from the paper - in mass duplicate quantities. They also pay people to do the mass coupon cutting for them. 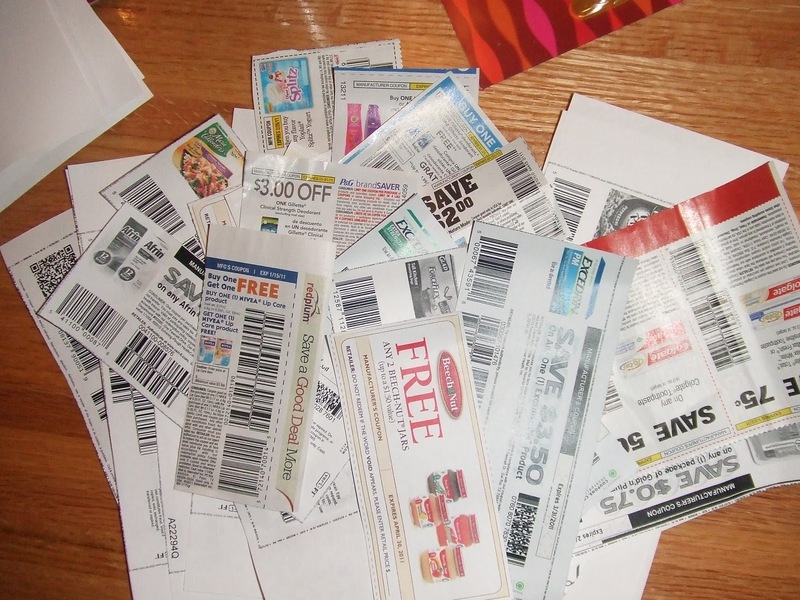 Once they have the sales pulled together, they apply store savings to the coupons from the newpaper, and go shopping for several hours, a couple times per week. They "buy" immense (like hundreds) supplies of the sale item, and with the sale/coupon combo, they either get it for free, for pennies, or they actually get paid to walk out of the store with the products (ie - the sale price combined with the coupon is more than the cost of the item, so they make money). We are talking serious strategy. And serious stockpiles. And serious savings, like $800 worth of groceries for $6. One guy bought $4,000 worth of cereal, spent $240, and donated it all to charity (hello tax deduction!?!). That guy literally also had a lifetime supply of deodorant (yet I saw him buy more on the show, which was weird). So Lori and I'd love to save money like that. Shaun and Steve are totally supportive. But I, for one, have no place to store immense stockpiles. We would get the supplies we need for the immediate future. Also, I'm not crazy - the stockpiles those people have all around their houses, while impressive, feel a little like hoarding to me. And I'm not willing to give up quality family time and general fun in order to coupon, like some of those people did. I'm thinking a couple hours per week, max, are enough. 1. 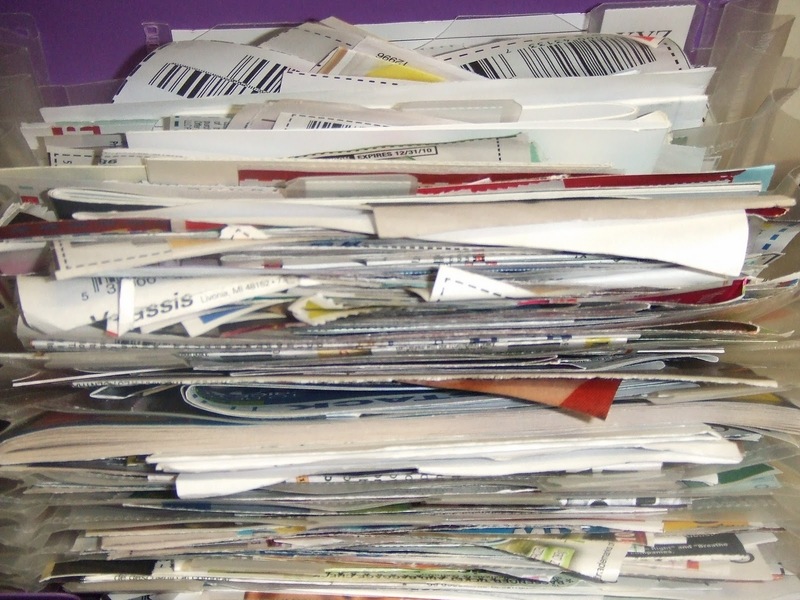 Get the Sunday newspaper coupons from Thrifty Nana each week (she already gives them to us). 2. 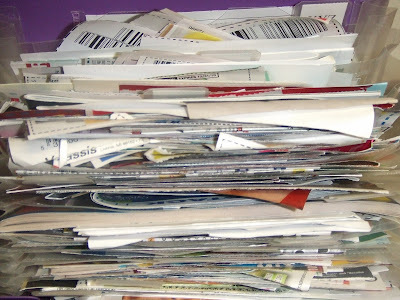 Check out the store sales mailers which also come in the Sunday paper and in our mail. 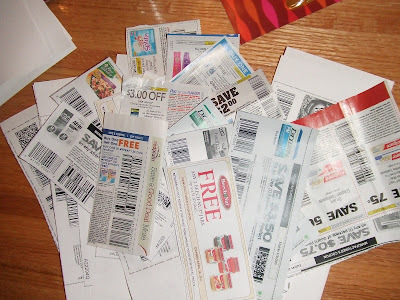 Clip any coupons they have that I want; and pick out what items I want to buy. 5. Try to shop at places like Target that take multiple coupons on the same item, and Rainbow Foods which has double coupon values on Wednesdays and Saturdays. May the WOM FORCE be with me! Anonymous - you're totally right - I made the change!